2. The process adds a bit of bulge to the shot so it looks like a balloon with white space on all the sides. 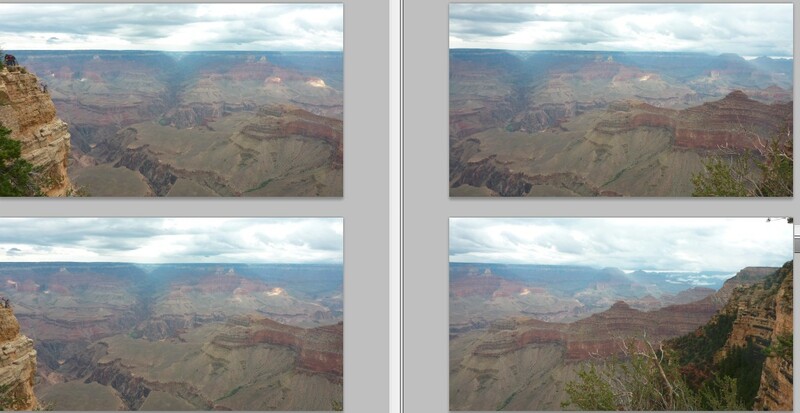 Photoshop has a sweet Content-Aware option that’ll fill in the white space with actual pixels that fit from the shot. 3. Went into Image>Adjustment>Exposure and made the print a bit darker to bring out the background (more in step 4). Bumped down the Gamma and evened out the Levels. Saved a 2nd copy. 4. Pulled both the 2nd copy and original into Photomatix and with the dark image pulled out the detail from the mountains in the back and contrasted it with the light already in the picture. 5. Finally off to Lightroom with a couple of my favorite filters that really pull out (or take out) the color in certain areas.